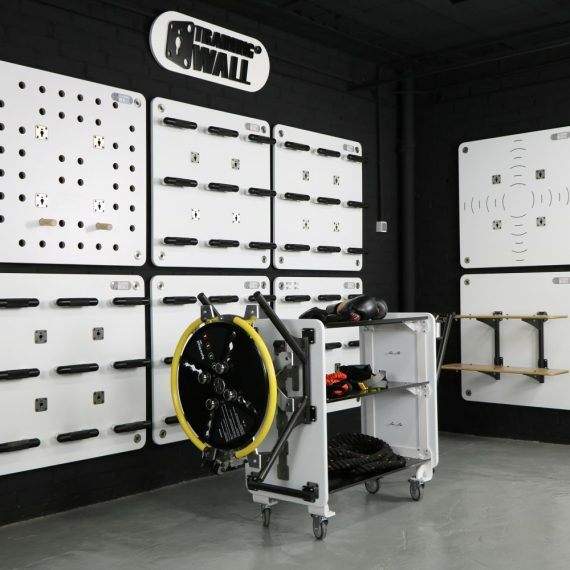 Training Wall® brings versatility to the studio floor with the Storage Trolley. 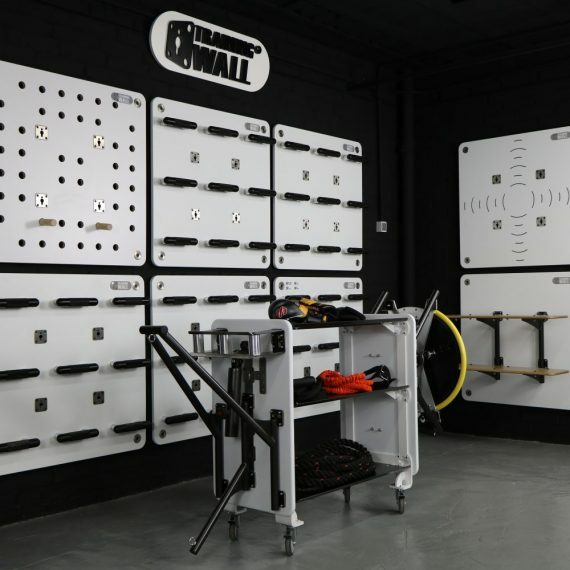 In some situations, there is no chance to put more panels on the wall, but despite this, you want to have all the Training Wall Tools. 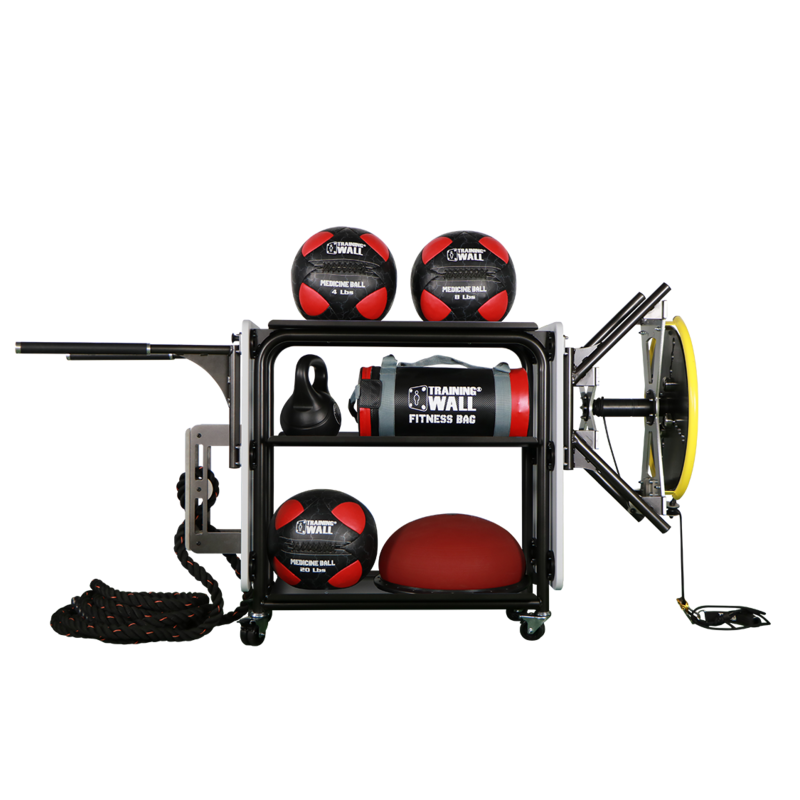 Put all your Tools in this trolley with your kettlebells, slam balls, leather balls, etc.. and have them always ready to use. Moreover, you can move it around the training area. 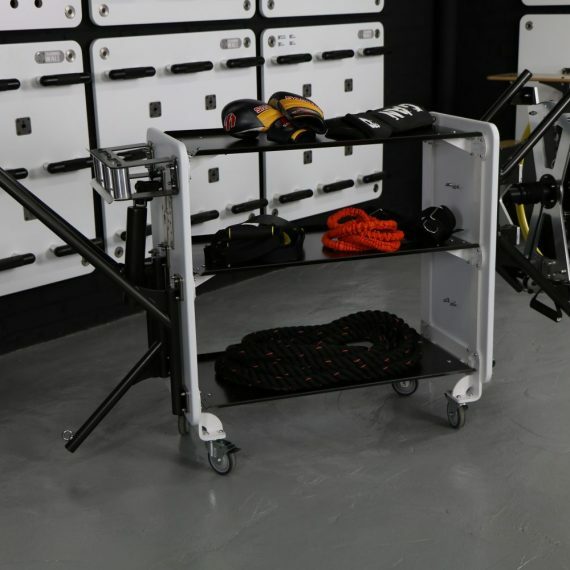 This clever unit is perfect for personal trainer studio, a small corner of training, rehabilitation clinics or domestic environment.